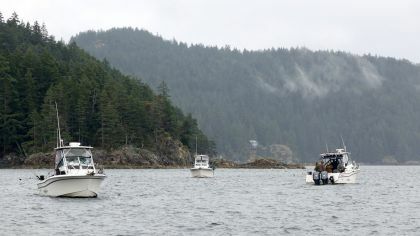 Nothing is more effective in solidifying relationships or building team spirit than the shared experience of a fishing trip in British Columbia. The stunning beauty, consistent year salmon fishing, and a first class fleet of fishing boats, makes a corporate fishing trip with Bon Chovy Fishing Charters an outing not soon to be forgotten. We have the capacity to accommodate large groups up to 80 people!. Depending on your timing and budget we are perfectly set up to offer trips as short as a few hours to multi day get-aways complete with waterfront accommodation on Bowen Island. 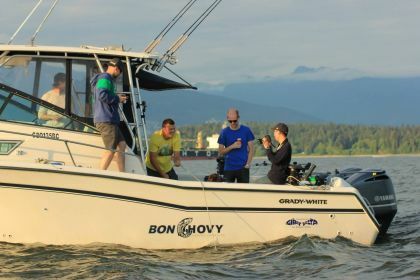 Bon Chovy Fishing Charters has the largest fleet of guided fishing boats in Vancouver and we are located minutes from all major downtown hotels. 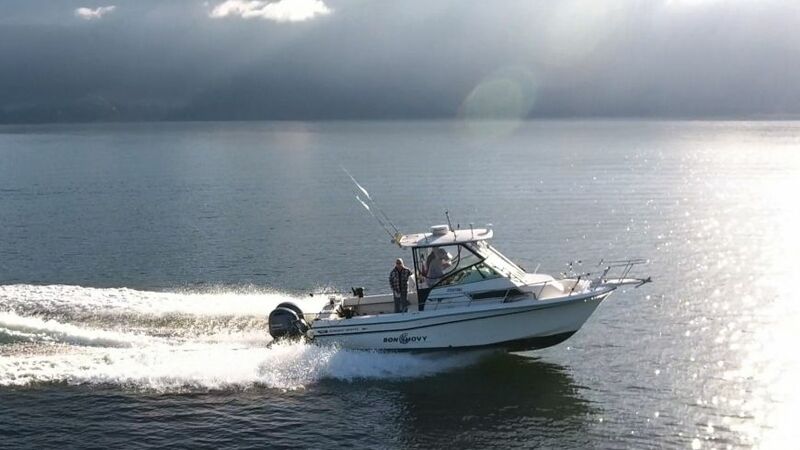 Bon Chovy Fishing Charters is proud to be one of the most experienced guide teams in British Columbia. We have years of experience and a first class sport fishing fleet. 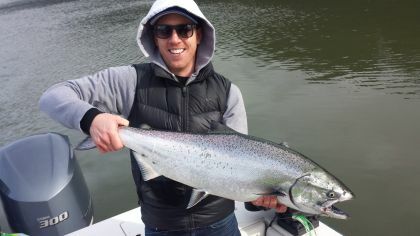 Our fishing trips are available 365 days of the year.